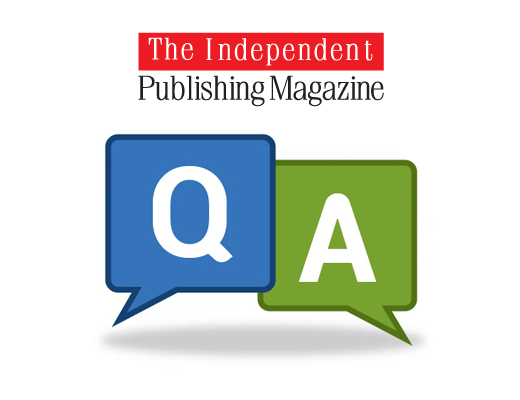 This is the latest of our TIPM Q&A interviews featuring people from the publishing industry with a particular focus on The Future of Publishing. TIPM focuses on many companies from the USA and UK and I thought it would be interesting to get some perspective on the services and publishing industry in mainland Europe. This week TIPM caught up with Peter Paul van Bekkum, founder and CEO of Dutch-based publishing platform Mybestseller.com. Firstly, Peter, thanks for joining us on this week’s Q&A. I’d like to start by letting you tell us a little bit about yourself, your background and what brought you into the world of publishing? Before starting Mybestseller, I worked in the media industry as ICT director, Publisher of regional daily newspapers and CDO. In between these jobs I twice completely reorganized one of the biggest news publishers in the Netherlands. From news publishing, I moved to book publishing; both traditional and they are fast changing sectors. It was just a small step. Together with Robert Bosma, we started Mybestseller to shake up book publishing a bit. Tell us about Mybestseller, because it’s been around for some years and is more than simply a self-publishing platform for authors. In recent years the company has significantly developed a white label publishing engine for book retailers, other publishers, journalists and organisations. One of these early development labels was Brave New Books, a partnership with Dutch publisher Singel Uitgeverijen and online retailer bol.com, and there have been many such ventures launched recently in Germany and the UK and shortly Mybestseller will be in operation in France, Turkey, Spain and Latin America. What are B2B partners looking for when they want to work with Mybestseller on white label services? We developed our publishing platform five years ago and started with just one self-publishing brand, mijnbestseller.nl. Our platform is a mixture of the traditional publishing process and the online publishing process. We started our white label proposition based on a request from a third party who wanted to offer self-publishing to its clients. From that moment on, providing white label self-publishing solutions became our core business, although we still operate four of our own brands. Today about 35 third parties use our unique publishing solutions. We provide them a complete self-publishing platform with their own look and feel. 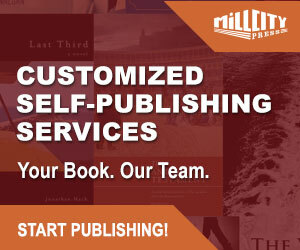 Besides free publishing and promotion for authors, we also provide printing, distribution, sales channels, royalty payment and a management dashboard. It’s a full service concept with no costs for the third party. The white label “only” has to attract authors and stimulate sales. Typical white labels are general trade publishers, resellers, media companies, STM publishers, educational publishers and online players. We earn a fee per book sale. Our ‘flagship label’ in the Netherlands is bravenewbooks.nl which is operated by both bol.com, the biggest retailer who owns the Dutch market, and Singel Publishers, one of the bigger traditional publishers with five famous imprints and lots of famous authors. They had more than 10,000 new accounts within the first year of existence! Other remarkable labels are vonjournalisten.de (exclusively for German journalists, together with the German journalists association DJV), auteursplatform.sdu.nl (for the legal, tax and government market with Sdu), jongboek.nl (a Christian label with Royal Jongbloed), Publoris.com (for the scientific market). There seems to be a perceivable shift in recent years for indie authors (certainly in the USA) from paying out thousands of dollars to full service providers to DIY-styled self-publishing platforms like CreateSpace, IngramSpark, Smashwords, and Lulu; even the shift to working with Ingram’s Lightning Source or a local printer to provide a print-ready file. It’s a big bite to chew off for authors who want to take control of their book projects and they often find the learning curve is pretty steep with mixed results. The USA publishing services market appears to be much more DIY centric, whereas the UK has remained much more centric to full service providers and partnership publishers for authors — certainly more print over e-books when it comes to sales. How does the self-publishing service market differ in Europe than say the USA? Well, there are two opposing models: the 100% DIY model and the Package model (aka the “rip off model”). Both are not favourable for the general author. If you publish completely by yourself, it will take ‘blood, sweat and tears’ out of you and you might end up having a poor quality book. If you choose the package model, you’ll end up wondering why you still have so many books left in stock and so few bucks in the bank…. We prefer the a la carte system which we offer to authors, combined with a user friendly interface and tips and tricks for the authors. Authors are always allowed to do it completely on their own or they might want to use one of our professional services such as editing, correcting, typesetting, etc. I don’t see a significant difference between the US and Europe but I feel there is a tendency towards DIY. What is really important for authors is to understand that a quality book always means editing, typesetting and cover design, etc, by people who have the experience in these respective fields. Authors should always arrange this, whether these service providers are hired professionals or friends in their own network. How does Mybestseller set itself apart from other competition? First of all we have our unique white label publishing solution. So any third party can easily incorporate self-publishing into its strategy and instantly get a branded publishing platform. Possible applications are offering self-publishing to their audience, talent scouting, increasing brand loyalty, publishing existing content, organising contest, etc. Secondly, our functionalities are up-to-date. Not only do we provide free publishing for any author, we also provide a free marketing toolkit, a growing choice in sales channels and completely integrated with a la carte services like editing, correcting, typesetting and cover design. Third, an author can publish an e-book, paperback and or hardback. Our printing network will cover Europe in its entirety by mid 2016 — from Turkey to the Netherlands, from the UK to Spain and Germany. This gives European players a one-stop-solution, while non-European players obtain the ability to easily enter Europe without any (financial) risks. I’ve attended both national and international book fairs and conferences over the past ten years and it struck me how many authors — trade and independently published authors — now attend these events and play a much more constructive role beyond just being there for publicity and to sell books. 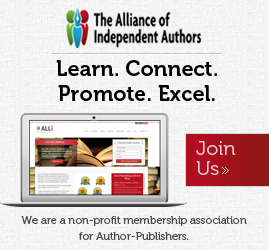 Authors now want to play a constructive role in the future of an industry they rely on. There seems more a sense that book fairs have become active think tanks, and not just promotional affairs and events to develop industry partnerships. In light of this, where do you see self-publishing within the industry today? The US differs tremendously from mainland Europe in this regard. Self-publishing in the US is more an ‘established thing’, thanks to CreateSpace, Lulu and others. It is wider known and much more accepted than in Europe, where some people still consider self-published authors as less than traditional published authors, although this opinion is changing quickly in Europe. The self-publishing solutions – which are already quite good nowadays – will further develop and definitely will be an attractive alternative to traditional publishing. It is just a matter of time before the big names will choose to self-publish their books. In my opinion self-publishing or direct-publishing might be a better term, will exist next to traditional publishing and get an equal market share. Authors will be the decisive factor in this regard. There’s been so much talk about the future of publishing and the seismic changes digital publishing and social media have made in publishing and book marketing (for authors and publishers), but how do you see publishers in every aspect evolving over the next ten years? There is only one answer: publishers who are able to adapt to new developments will survive, the others will vanish. Of course there will be room for excelling niche players. Each traditional publisher should have their strategy based on three cornerstones: traditional publishing, self-publishing and mobile publishing. Traditional publishing, because most of them are good at it, it’s their core business. Self-publishing for talent scouting, contest, community, interaction and creation. Mobile publishing, because it is the next big thing in publishing. The younger generation will still be reading but less and less in the old fashioned way. Books will change: short stories, a sequence of chapters (call it a book) and sequels will take its place. Reading will be less an individual activity but far more social in terms of sharing stories, commenting on stories and communicating with the author and all the other readers. For me, the e-book market is already declining. It will gain market share in Europe over the next couple of years, but mobile publishing will be the one to seriously hurt printed books and e-books. This is why we are investing heavily in mobile publishing right now. 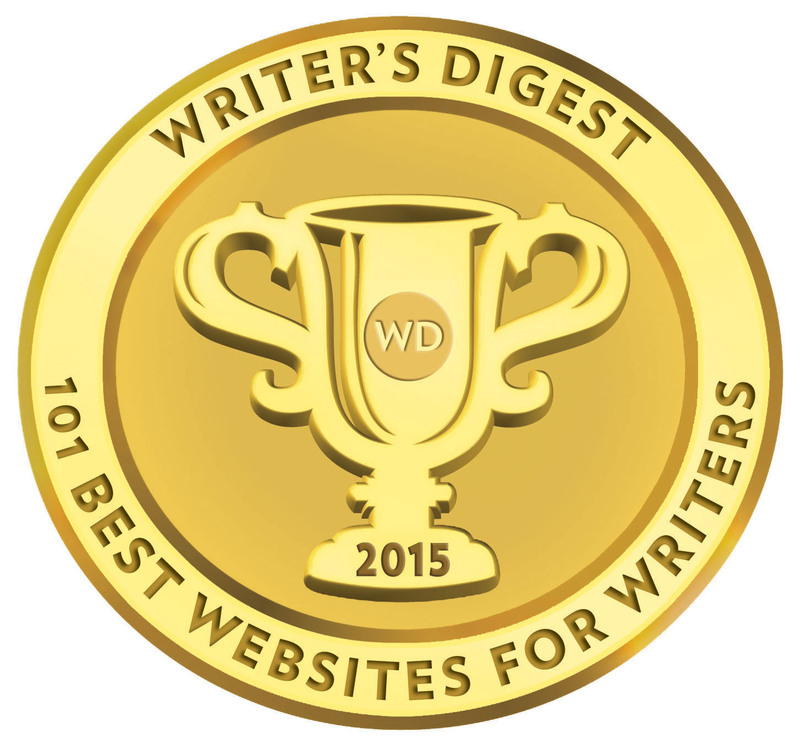 Authors will have direct contact with their audience. It will inform them and help develop a marketing channel. What role will the publisher play?! Amazon now plays a major role in the publishing industry, both as a giant online retailer and now publisher in its own right. Amazon recently expanded into the Netherlands. Is this a good or bad thing for publishing service providers? So far Amazon has not made any impact in the Netherlands. They only started with e-books and that is, contrary to the UK and the US, still a very, very small market. Bol.com and Cool Blue (no books) are the real players in this field. This will change if and when Amazon might step up a gear, introduce printed books and all the other products they normally sell. However, they will never get the same status in the Netherlands as they have in the US. And besides that, I can imagine that there are bigger challenges for Amazon than the Netherlands with just 17 million inhabitants and a very saturated market. Continuing the Amazon theme, one of the biggest questions often asked during 2014 in the book industry was – Amazon: Friend or Foe? I guess it is also a question of eggs in one basket, but should publishers and indie authors fear Amazon’s developing role now and in the future? To be honest, I am a little obsessed by Amazon. On the bright side I am a fan of Amazon. I read Brad Stones ’The Everything Store’ within a couple of hours. Bezos is a true visionary and earns lots of respect for that. The Kindle revolution in the US was outstanding, their web services are great and their global market share is immense. On the other hand: how good are they really performing? They face structural losses of hundreds of millions of US dollars a year. Yes, they are able to gain market share and destroy competition, but the price paid might be too high. There is no room for monopolists, people just don’t accept that. It is nice to see what happened in Germany, where seven big players teamed in the Tolino project, just to beat Amazon on ereaders, e-books and self-publishing for e-books. And there will be more initiatives in lots of countries; even Jet in the US might be one of them. This will hurt Amazon and will put pressure on their already woeful financial results. There are two important key factors for self-published authors today; distribution and discovery. When authors contract a publishing services provider, they often embark on a steep learning curve, and depend on the services provider. They can sometimes feel their expectations are let down by their understanding of what self-publishing really is and the extraordinary competition in the retail marketplace. How does an author find a reputable publishing services provider and what are the essential elements a good one must provide? For almost anything the pyramid works, thus it does for book publishing as well. This means that there are only a few authors who actually make a living being an author. 95% of the published books sell less than 100 copies. So your first book probably won’t be a bestseller. If sales don’t work out the way you want it, do not blame “the others”. That said there are plenty of good players out there to give it a go. So I would advise authors to follow their gut feeling when looking at these providers, and I mean the DIY providers with a la carte services. Do not choose the expensive package providers because it will be costly. The DIY providers all know what publishing is about and most of them offer decent functionalities for publishing. If I’m an author with a completed manuscript — looking to self-publish — what are the six-pointers I need to consider before taking the next step on my publishing path? Go through the entire manuscript again, by letting other (honest) people give feedback and or make use of professional services/friends. Have a good glass of wine and a good talk with yourself. Why are you writing your book, what are your ambitions? Do you want to get rich or do you want to share your story with others? Is it an ego thing? It is important to know why you are doing this. Define your target markets and know how to reach them, especially online. Set your goals and be realistic. Be active on social media, create buzz around your book, and devise a marketing plan. Put all your energy in PR, marketing and sales efforts and create a network of ambassadors for your book. And… Be lucky! Peter Paul van Bekkum (51). Graduated at the University of TechnoIogy Eindhoven in Management Science and Industrial Engineering. Implemented advertising and editorial systems at Sijthoff Pers. Worked in the media industry as ICT director at Wegener, Managing Director at Eindhovens Dagblad and Dagblad De Gelderlander (a.i. ), Programme Director reorganization Wegener. Co-founder and CEO of Mybestseller.com. Peter Paul lives in Rotterdam (the Netherlands) together with his partner and two lovely daughters aged 5 and 6 years.